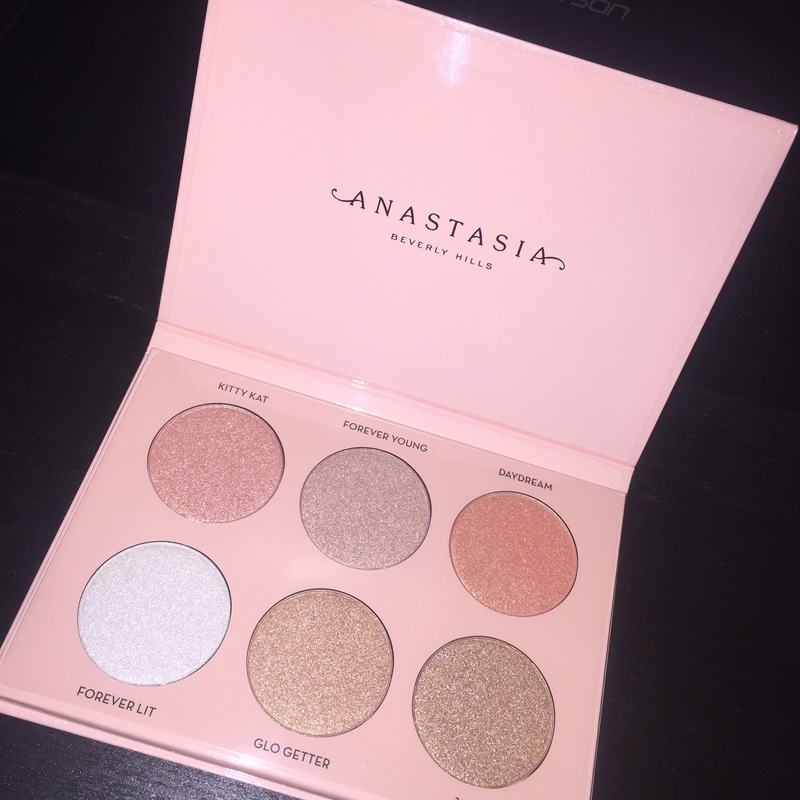 Today (March 3rd) is the official launch date of Anastasia Beverly Hills’ new Glow Kit! I am a huge fan of the Glow Kit series and I have all of them with the exception of two-“That Glow” and “Moonchild”. 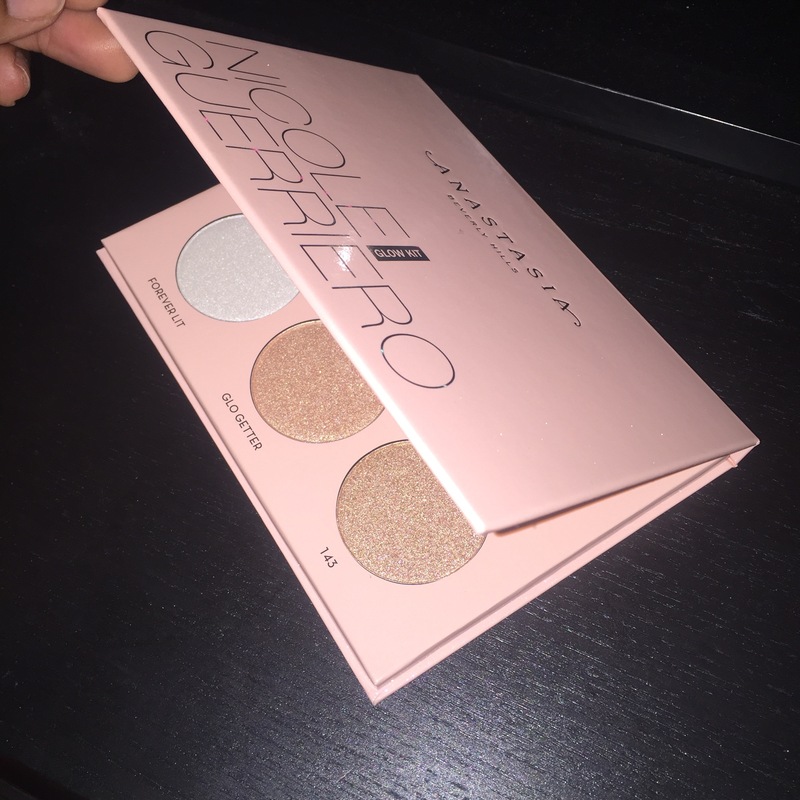 This particular kit is a collaboration with Nicole Guerriero. She is a beauty guru and is sort of a big deal on YouTube. She has been creating content on YouTube for 7 years. I am not an avid viewer of her channel but, I’ve enjoyed the few videos that I’ve watched of hers. This Glow Kit retails for $40.00 and is a Sephora exclusive. Today it can be bought online at Sephora.com and Anstasia’s website too. I was able to get my hands on this baby early because for 48 hours-2/26-2/27- it was available for sale on the Sephora app. Plus I have the flash shipping so it was set to get here in here in 2 days. It will be available for sale in all Sephoras on March 15th! This kit is housed in the same packaging as all the rest. A hard textured cardboard encased in a sleeve without a mirror. I think the packaging is pretty durable and I’ve never had an issue before. Unfortunately these are not able to be removed unlike most of the Glow Kits. The format of this kit reminds me of the Ultimate Glow Kit that was released this past holiday season. It has six pans of highlighters instead of the original 4. I think this is great because it gives you more options to glow. The combinations are endless with this kit. You can wear each shade alone of cocktail to create a glow of your own. 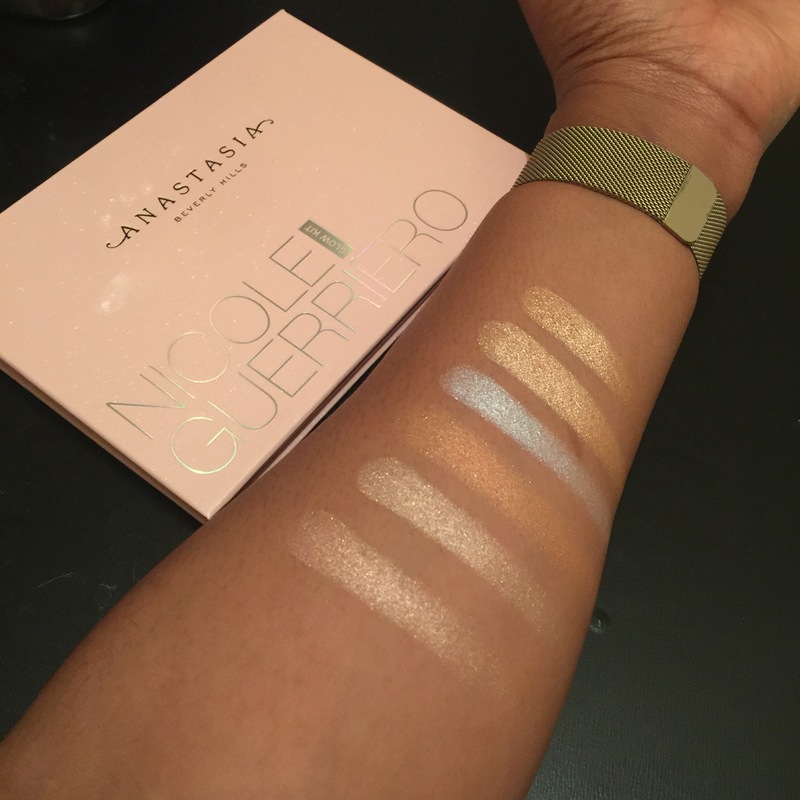 Nicole states that these also can be used as eyeshadows. I haven’t tried it as an eyeshadow yet although I did pop “Forever Lit” in the inner corners of my eyes. It lasted through my entire 10 hour work shift and I was amazed. At first I was unsure of how well this kit would perform because the first application was a struggle. I swear the the pigmentation was just not coming through with the shade “Kitty Kat” and I even used Anstasia’s A23 brush. But once I rubbed the overlay off I fell in love. Currently my favorites would have to be “143” and “Forever Lit”! With this Glow Kit being a collaboration it is deemed limited edition. I suggest you get this kit if you are a collector or a fan of Nicole. I honestly feel like anyone can use this kit. Especially because it can serve as multiple things. Let me know your thoughts down below in the comments!